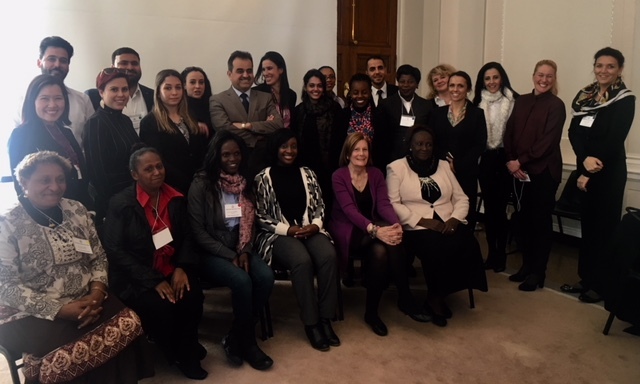 On Monday, March 26 Meridian welcomed a group of 25 legal professionals, NGO representatives, community leaders, and social workers from all over the world for the International Visitor Leadership Program, "U.S. Justice System: Protecting Women and Children." The program's theme centered on the concept that national policies of equality, inclusion, and protection of vulnerable citizens are inherently linked to social and economic development. 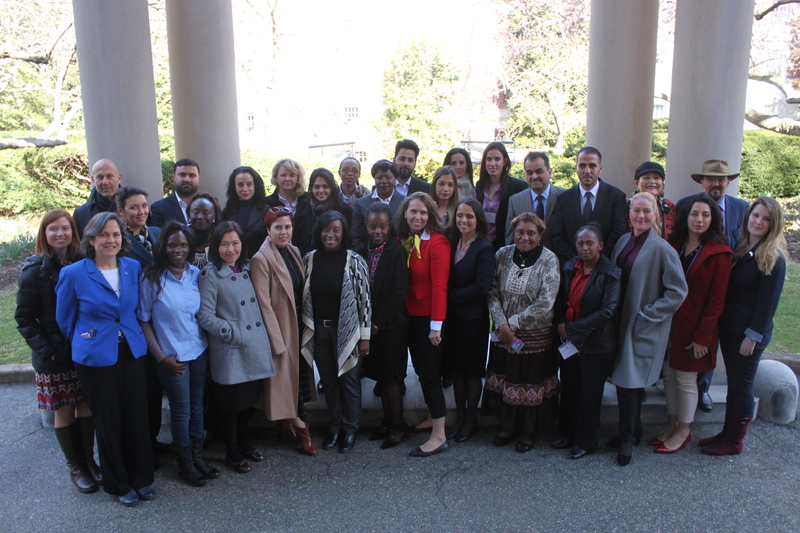 During this three-week program, the participants explored the legal structures in place to protect women and children; identified discriminatory practices based on gender and ways to address these issues; and examined the U.S. juvenile justice system, including best practices in treatment and rehabilitation. 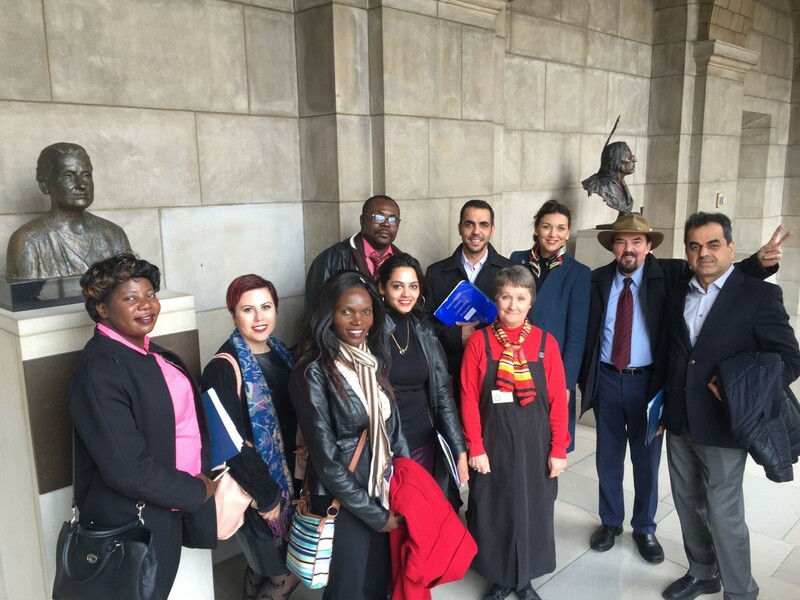 To explore these objectives in depth, the participants first convened in Washington, DC and then traveled to Jacksonville, FL before splitting into three groups for separate programming in Helena, MT; Lincoln and Omaha, NE; and Reno, NV. The group reconvened and concluded their program in Dallas, TX. In Washington, DC, Ms. Stephenie Foster, Partner at Smash Strategies, facilitated a lively discussion on protecting women and children; a representative from the American Bar Association described its role in affecting public policy on violence against women; and staff from the Department of Health and Human Services' Administration for Children and Families offered insight into child welfare services at the federal, state, and local levels. 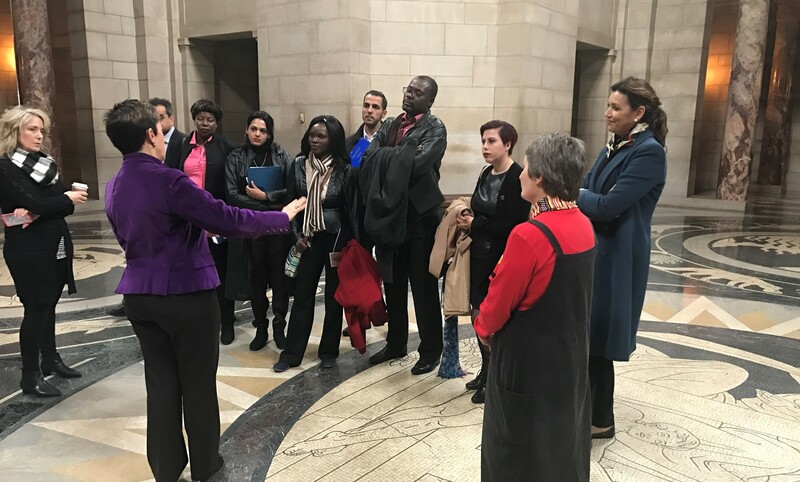 Other highlights included an introduction to the public-private partnership between the DC Superior Court and DC Safe, which provides critical services to survivors of domestic violence; a tour and meeting at Safe Shores to showcase its comprehensive services for child victims of abuse; a visit to the National & International Centers on Missing and Exploited Children to focus on their work identifying and locating abducted children and preventing child sexual exploitation; and a discussion with RAINN about running effective crisis hotlines and sexual assault networks. Following successful local programs focused on critical topics such as intervention and prevention services for victims of gender-based violence; access to justice for indigenous women and children; combating human trafficking; and court appointed advocacy for children, the project concluded in Dallas with several substantive appointments. A meeting with the George W. Bush Institute’s First Ladies’ Initiative demonstrated how it strives to shine a spotlight on women’s issues. A conversation with women prosecutors from the Dallas District Attorney’s Office outlined mechanisms in place to protect women and children. 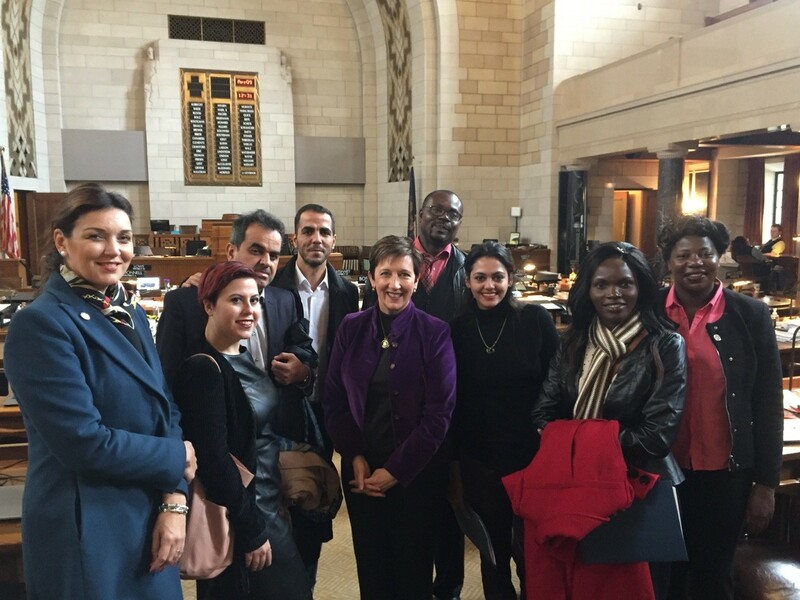 The Human Rights Initiative explained how they provide pro bono legal assistance to refugees and asylum seekers. In addition, the group received a warm welcome from students and faculty at Bishop Lynch High School, offering a proper ending to their productive three weeks in the United States. Read Stephenie Foster's guest blog here! Read about the group's visit to Bishop Lynch High School here.